← Do Placenta Smoothies help with weight loss? At Placenta Practice one of the most frequently asked questions is “How do I store my placenta once it has been birthed”? Clients have a couple of options when it comes to storage. The easiest, most convenient and safest option is to opt for one of our specially designed Placenta Collection Kits. The Placenta Practice Placenta Collection Kits, designed by a bio-medical scientist with input from Environmental Health Office, are able to keep the placenta below 5ºC for up to 12 hours. Our testing has in fact achieved below 8ºC for over 48 hours but this was in a controlled environment. The kits are totally bespoke for the purpose of storing a placenta. Each kit is delivered with everything needed along with full instructions and are one time use only to prevent cross contamination. The kit has a specialist high-grade lining, similar to the systems used in transporting organs for the NHS. 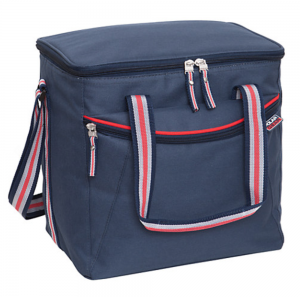 This lining performs 3-4 times better than an ‘off the shelf’ cool bag, which clients will need to purchase if they opt against the kit. Particular attention has been paid to the design of the kit, to minimise the unfortunate instances of lost placentas in hospitals. 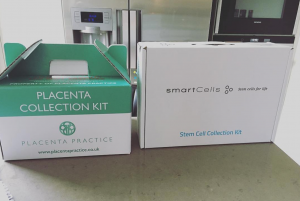 The alternative to the Placenta Collection Kit is for clients to purchase items, recommended by us, to store the placenta. Testing has revealed homemade ‘kits’ will only keep the placenta cold at under 8ºC for around 6 hours. If clients opt to purchase items and make a kit themselves, then it is important to purchase everything we suggest. Substituting items, or not buying in the right quantities will affect the performance of the homemade placenta collection kit. All items and quantities we recommend are tested to achieve certain temperatures, deviating from this may mean the placenta can not be used as a result of not achieving the desired temperature. Placenta Practice have to adhere to very strict temperature control regulations (critical control points) where the temperature has to be monitored to ensure Placenta Encapsulation is safe for clients. If a placenta is not kept below 8ºC Placenta Encapsulation will not be viable. We recommend clients ask their birth team to keep the 9 freezer blocks in their freezer. If this is not possible ask them to put the placenta into one of the specimen fridges on labour ward, which is where it will stay if you are moved to a postnatal ward. All hospitals differ in protocol, so it is worth checking at your midwife appointment if they will be able to support you in keeping your placenta cold.